Why See Opera Atelier - Pygmalion? Classic romance Pygmalion tells the beautiful story of a sculptor who falls in love with one of his statues and wishes for her to come to life. The fantastic play written by George Bernard Shaw premiered in 1913 in Vienna, and now 103 years later comes to the Elgin Theatre in Toronto courtesy of Opera Atelier. 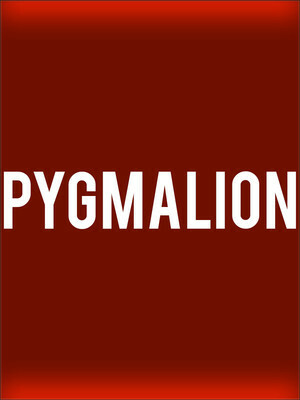 Taken from ancient Greek mythology, the story of Pygmalion is one that has captivated generation after generation and seen many re-works and revivals. The great French composers Charpentier and Rameau take this wonderful story and transform it into an amazing piece of opera with the assistance of Canadian tenor Colin Ainsworth. The musical interpretation of this powerful, ancient tale is a goose-bump inducing experience not to be missed! Sound good to you? Share this page on social media and let your friends know about Opera Atelier - Pygmalion at Elgin Theatre. Please note: All prices are listed in US Dollars (USD). The term Elgin Theatre and/or Opera Atelier - Pygmalion as well as all associated graphics, logos, and/or other trademarks, tradenames or copyrights are the property of the Elgin Theatre and/or Opera Atelier - Pygmalion and are used herein for factual descriptive purposes only. We are in no way associated with or authorized by the Elgin Theatre and/or Opera Atelier - Pygmalion and neither that entity nor any of its affiliates have licensed or endorsed us to sell tickets, goods and or services in conjunction with their events.